ASK THIS ONE SIMPLE QUESTION TO FIND OUT IF YOU’RE SABOTAGING YOUR OWN SUCCESS. 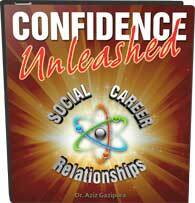 Are you looking for a way to increase your level of confidence so that you can have better relationships, experience love, and enjoy more career success? Do you wish you could take major leaps forward in every area of your life? Are you ready to be OMOS? What’s OMOS? That’s exactly the question I’ll be answering today, so stay tuned if you’re ready to learn one lesson that will serve your entire life and help you begin your transition toward greater confidence. OMOS—this is probably my favorite topic amongst those that I teach, and it’s something that I touch upon in great detail every single day of my coaching career. On my own side—sounds simple enough, but there’s actually a lot to it. Being on your own side involves not only believing in yourself, but also refusing to turn on yourself when things aren’t going your way. Often, when we take a leap and try some action that lies outside our comfort zone—no matter how seemingly insignificant—we turn out to be our own worst critics. We berate ourselves; we question our judgement; we set unreasonable expectations; and we believe we’re hopeless when we don’t succeed on the first try. This results in a split-personality scenario in which one of the voices in our heads attacks and demeans the other, completely undermining any future progress we might hope to make. In Gestalt therapy, this is known as a “top dog/underdog” relationship, and it can become a dangerously habitual behavior. Here’s another way to think about this: if you could personify the voice inside your head and turn it into a friend, would it be a good friend or a bad friend? Most of the time, and for the majority of us, that voice would be a terrible friend, and you’d be in what could only be described as an abusive relationship. If your friends pointed out your mistakes at every turn, drew attention to your flaws, and put you down constantly, you’d toss them like last week’s garbage. Yet, for some reason, we choose to believe the negativity and give it power over us when it comes from within. Instead, we should be asking what a real friend would do. Would a real friend be on your side, encouraging, supporting, and loving you through thick and thin? Of course they would! A real friend can call you out on your uncharacteristic actions, and still have the positive influence to pull you back into your truest version of personal integrity and power. If that friend notices something out of alignment, he says so in a constructive way, offers to work with you to figure out what’s up, and offers any help he can. The most interesting thing about this is that we are all societally prone toward this mindset. When we fall short in some way, procrastinate, run away from our fears, or face rejection, we see it as a major failure on our parts. Instead of staying on our own side and viewing it as part of the process, we punish ourselves for being stupid or lazy or weak or cowardly. This is a toxic habit that we don’t even notice in ourselves because it is so societally common that it has been ingrained in our psyches. That sort of constant negative bombardment affects your nervous system, energy, and mood, and it can cause serious issues with your self-esteem and, ultimately, your behaviors, relationships, and career. When you’re not on your own side, it’s impossible to be a bold, assertive person who is able to lead and connect with others. So, how do we shift this pattern so that we can be on our own sides, no matter what? The first step is figuring out your own pattern of anti-OMOS behavior. How do you normally turn on yourself? What is your behavior when you turn on yourself? – I’m totally bombing—I may as well give up. – They think I’m awkward. – They’re judging how nervous I am. – They don’t like me at all. Some of us create other ways of fighting ourselves and standing in the way of our own progress. We might predict negative future scenarios and let that create anxiety and discouragement for us. We might pressure ourselves to constantly do better, never finding satisfaction or joy from our many small accomplishments along the way. Regardless of the method of our self-sabotage, It’s all really just self-hatred at the end of the day, and it’s not healthy. It is extremely important to be aware of the many ways in which we can turn on ourselves because the more aware you are, the more empowered you are to recognize that pattern and work to counteract it. We don’t have to criticize ourselves, assume negative outcomes, or put relentless pressure on ourselves to do better—we can become better by simply treating ourselves like a good friend. Once we know our own patterns of anti-OMOS behavior, we can work to stay conscious of them, notice them when they rear their ugly heads, and put a stop to them before they take us over. The key here is to make the decision to change. No, no, no. While initiative and determination are great qualities, pressure is just another form of self-attack and abuse. What we are looking for is self-love. That’s all this is about: finding self-love through being on your own side. What you’ve been doing up to this point hasn’t been working, and if you want to step out of that pattern, you must accept that it’s time for something different. When you finally make that choice to live in a commitment to self-love, you will find great inspiration, energy, and hope; you will drop the weight and draining negativity of self-hatred; you will rid yourself of fear, discomfort, and anxiety so that you can become a leader and enjoy greater success in your work, love life, and social circle. Once you decide to be on your own side, you will notice every area of your life naturally getting better and better because you will have allowed the potential for growth into your life. 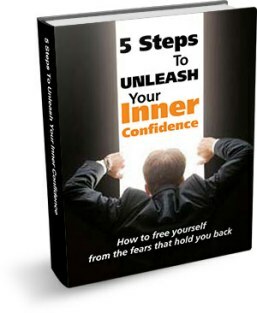 If you need a little more support or guidance on this journey, please check out my books, The Confidence Code or The Solution to Social Anxiety. Down the road, you can also keep your eyes peeled for my next book, which will focus heavily on this very topic (OMOS). In the meantime, however, you have the power to begin noticing and tempering your own patterns of anti-OMOS behavior, starting now. There are plenty of resources out there to help guide you in any way that you need, so jump in today and let that self-love thrive! As always, I invite you to like, subscribe, and share your thoughts in the comments below. What do you do to sabotage your own happiness? What changes have you noticed since adopting an OMOS mentality? I always appreciate your participation in this journey and I know it makes a huge difference to your fellow peers.